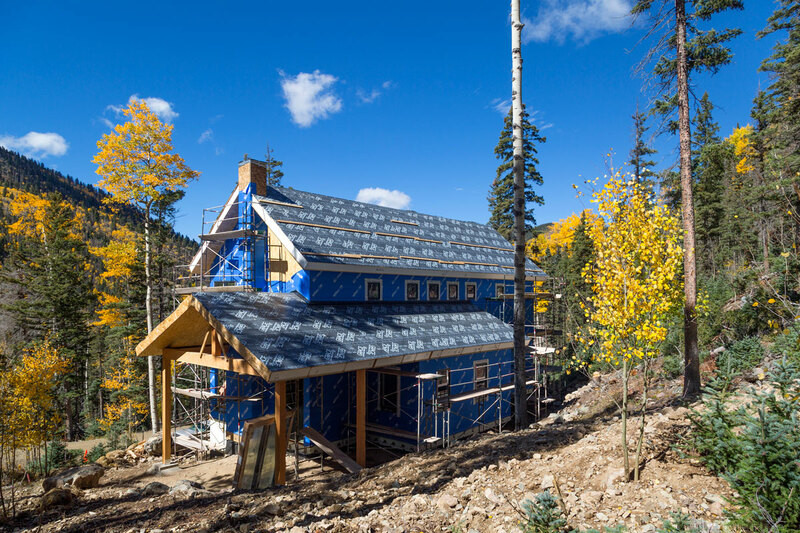 The Mcalister Residence in Taos Ski Valley is an elegant piece of mountain architecture that is situated on a very steep site. 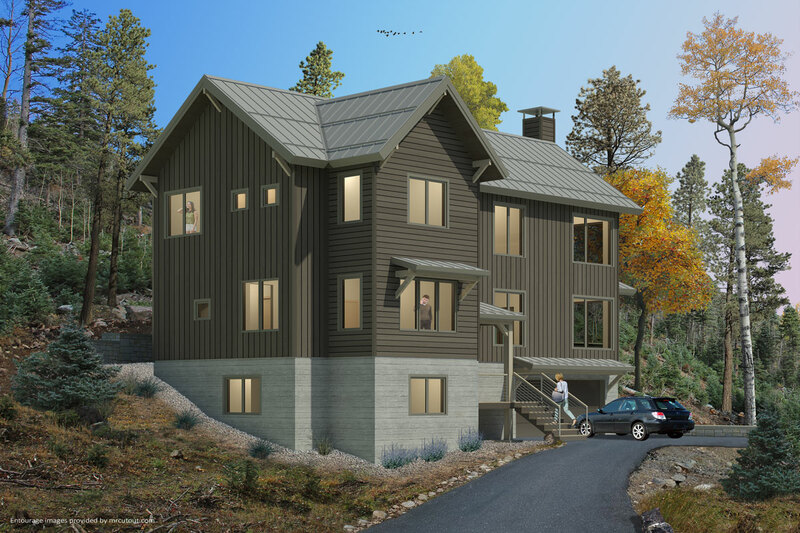 The simple form nestles into the slope with a clean and contemporary alpine language and stands as a beacon in the landscape of the Sangre de Cristo Mountains. 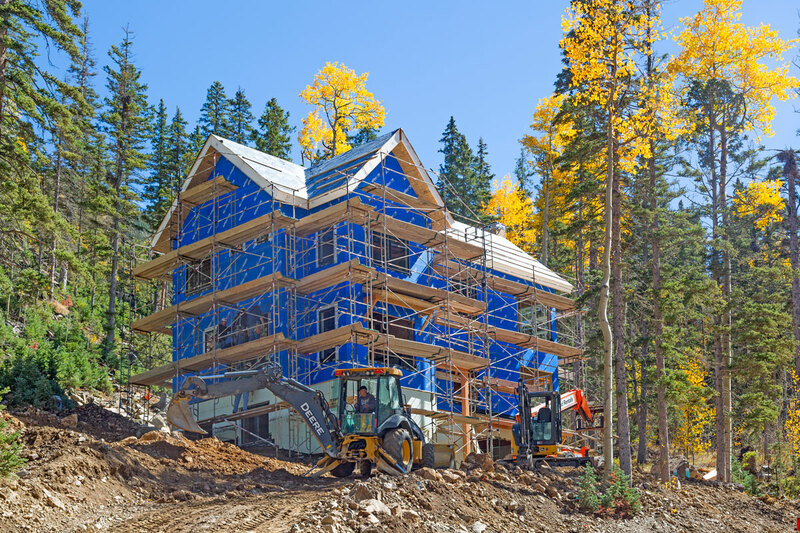 The Village of Taos Ski Valley, in which the residence is located, requires a comprehensive plan for how a structure is to interact with the landscape. The natural waterways, heavy snowfall and steep slopes require careful consideration. The location of the building, along with careful site planning, allows ease of access to the home and encourages spring runoff to flow around the occupied space of the property. 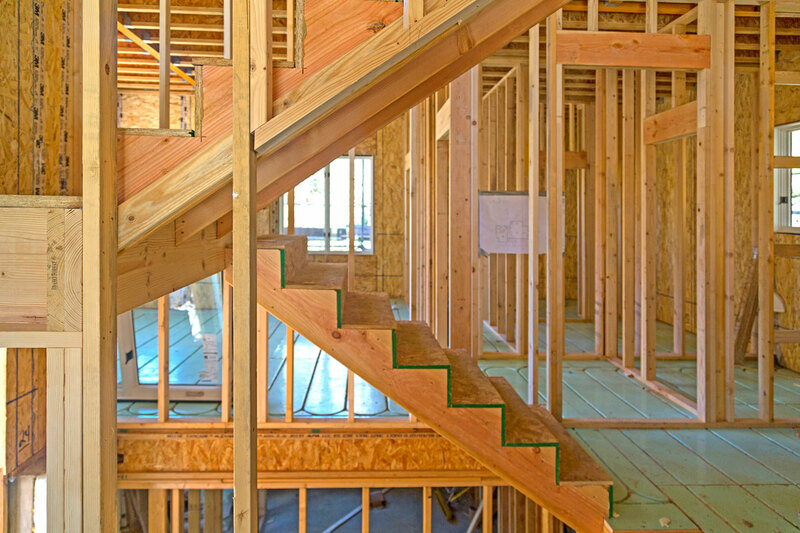 The highly efficient building envelope consists of an insulated formed concrete foundation and a structural insulated panel system (SIPs) for walls and roof. The steep roof pitches shed snow and mimic the surrounding peaks. 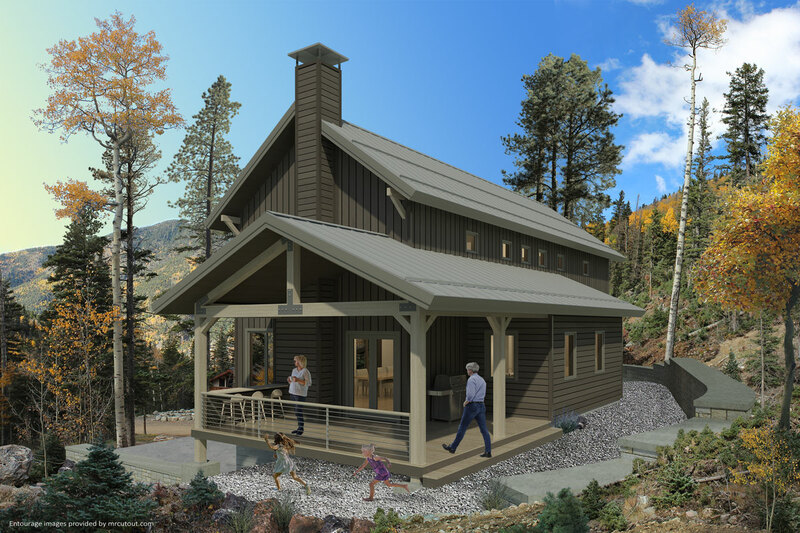 The cabin has four bedrooms, five bathrooms and a great room with kitchen, dining and living.